There are a lot of things about dental insurance that don’t necessarily make sense — and the fact that it’s not easy for everyone to get and keep coverage is one of the biggest mysteries. Maintaining healthy teeth and gums is crucial for your systemic health, and your dentist in Keller believes preventive and restorative dentistry should be as affordable as possible for the good of everyone. That’s why we offer an in-office savings plan to help! 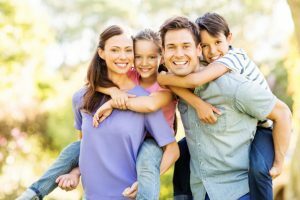 The Smile Refined Family Dentistry plan is perfect for people who don’t have dental insurance and could benefit from more affordable dental care (i.e. just about everyone). It’s easy to sign up, and the advantages are significant. Learn the details of our savings plan and get started saving this year! The Smile Refined Family Dentistry in-house savings plan is good for patients of all ages, and all you have to do to join is pay the small fee of $149 per year. In exchange for the membership cost, you receive two free checkups and cleanings annually as well as 30% off any treatments you need at our office. That includes everything from gum disease treatment to root canal therapy — it’s all discounted when you’re a member of our in-office savings plan! If you need additional help paying for necessary services, we are also happy to work with third party financier CareCredit. It works like a credit card: you simply swipe it at the time you receive services and then make payments at the pre-determined pace that is convenient for you. Find out more about CareCredit and whether or not you are approved today. Are you looking for a dentist to take Delta Dental in Keller, or any other insurance plan? For patients who do have dental insurance, we are pleased to be in-network with a number of popular providers. In fact, we accept all PPO plans, including Ameritas, Aetna, Blue Cross Blue Shield, and many others. Whether it’s Humana in Keller or any other plan, please contact our office to discuss the details of your coverage and find out how you can benefit from your investment in your oral health ASAP. Dr. Sinha is originally from India and graduated from the Herman Ostrow School of Dentistry in Southern California in 2010. She is pleased to bring her superior level of dental care to the DFW area, where she says she feels right at home. Dr. Sinha is highly experienced across a range of dental practice areas, and she is committed to serving all patients with compassion and empathy. Dental care can fit squarely within any budget — you just have to visit the right dentist. To discuss your financial options or to book an appointment with Dr. Sinha, please contact us today.